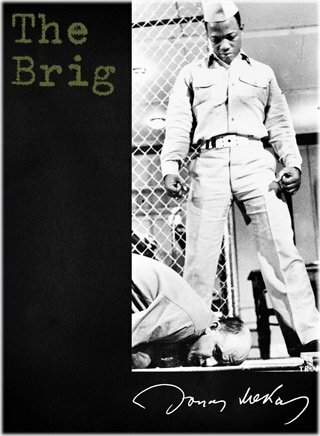 "I went to see The Brig, the play, the night it closed. The Becks were told to shut down and get out. The performance, by this time, was so precisely acted that it moved with the inevitability of life itself. As I watched it I thought: Suppose this was a real brig; suppose I was a newsreel reporter; suppose I got permission from the U.S. Marine Corps to go into one of their brigs and film the goings-on: What a document one could bring to the eyes of humanity! The way The Brig was being played now, it was a real brig, as far as I was concerned. This idea took possession of my mind and my senses so thoroughly that I walked out of the play. I didn't want to know anything about what would happen next in the play; I wanted to see it with my camera. I had to film it." En idioma español me temo que no hay muchas, aunque EDUNTREF (Bs.As.) ha estado bastante activoa en este tema los últimos años. Si me concretas un poco más lo que estás buscando, te podría dar más datos.